Compared to the current tax structure, how much more or less you will save. The brackets determine how much of your income is taxed at different levels. Each bracket only applies to the income made between the range specified. The highest bracket applicable to your income is also called your ‘marginal’ tax rate. The marginal rate tells you the tax rate applied for each extra dollar of income you make. President Obama’s plan proposes largely keeping the current tax structure, but with an increase to those making $250,000 per year or more. Obama’s plan translates to a projected federal annual revenue increase of about $860 billion over 10 years. Governor Romney’s plan includes a 20% tax-cut across the board. The tax-cuts are stated to be revenue neutral, funded by the elimination of certain tax credits and preferences. The broad tax-cut, excluding the impact of tax credit / preference reform, is reported to decrease Federal revenue by approximately $2.8 trillion over 10 years. 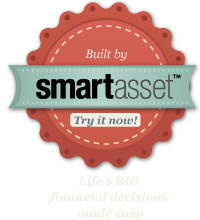 SmartAsset provides answers to your important financial questions. We recommend specific strategies and illustrate all of your options, so you can make smarter decisions. Filers claim the standard deduction. All plans are effective in the same tax year. We do not allow tax credits to exceed income taxes. We have also excluded the impact of certain tax provisions, including but not limited to: social security, medicare, payroll taxes, state taxes (including any consequent impact on federal taxes) and the Alternative Minimum Tax (or AMT). For the Romney plan, we have included the impact of the elimination of the expanded refundability of the Child-Tax Credit, and the earned income tax credit (EITC). This infographic is intended for information purposes only. Sources: Internal Revenue Service, Tax Foundation, Tax Policy Center, Obama for America, Romney for President, Inc., Bloomberg BNA, The Committee for a Responsible Federal Budget, whitehouse.gov, Joint Committee on Taxation, Congressional Research Service.